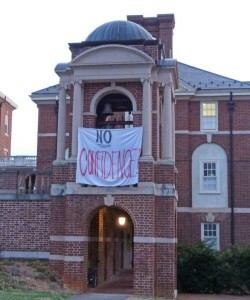 No Confidence! Does YOUR Governing Board Have Your Interests at Heart? My continued advocacy for Sweet Briar College continues. Today’s focus is on governance, shared governance and the lack thereof (in the case of Sweet Briar). This situation exposes issues that should be of concern to anyone who has ties to a school, college or nonprofit. A sub-title could be “What are assets anyway?” Assets of an institution are not just endowment, land and buildings. Students, parents, faculty, staff, alumni and the community surrounding a place are assets deserving of the fiduciary duty of care, loyalty and obedience. In an article in the Nonprofit Quarterly, Ruth McCambridge cites Sweet Briar as having a lack of stakeholder representation on the Board and crys malfeasance (Nonprofit Quarterly article here). I wholeheartedly agree. More and more, we see the public calling out nonprofit boards for decisions they have already made that appear at odds with what the stakeholders want. So it is at Sweet Briar College, the latest example of a board making a sudden decision to close only to find that they will be challenged legally, financially, and reputationally on that decision by the very people for whom they were acting in stewardship. This lack of active connection to the base of supporters should be deemed a kind of nonprofit malfeasance, in violation of what we are organized to do. While the faculty voted to oppose the Board’s decision to close Sweet Briar, their voice holds little power to actual affect change. Without legal intervention it seems, the College hurdles towards a closure many are fighting to stop. Thousands of alumnae have cried out against the closure and, in particular, feel the total lack of communication did not give them a chance to step forward to delay or stop the announced closure. Their Alumnae Board on the matter? Silent. 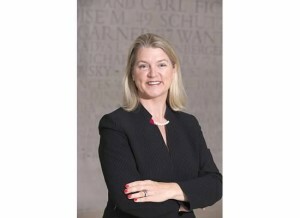 Absence any strong leadership and in response to the passion felt by so many, the Saving Sweet Briar Board established itself and is making statements representing the collective feelings of thousands of alumnae. Governance – Who Represents the Stakeholders? 2. Boards must act to add value to institutional leadership and decision making by focusing on their essential role as institutional fiduciaries. 3. Boards must act to ensure the long-term sustainability of their institutions by addressing changed finances and the imperative to deliver a high-quality education at a lower cost. 4. Boards must improve shared governance within their institutions through attention to board-president relationships and a reinvigoration of faculty shared governance (emphasis mine). Boards additionally must attend to leadership development in their institutions, both for presidents and for faculty. Unfortunately, shared governance at Sweet Briar seems to be completely lacking. The faculty of Sweet Briar College voted unanimously to oppose the Board’s unilateral action to close the College (Washington Post article link here). Yet, their voice holds little strength because they do not have a seat on the Board nor an advocate on the Board. With shared governance working, they would. The President agreed to meet with the faculty, but the meeting was canceled “on the advice of legal counsel”. The Alumnae Board has been sadly silent on the matter with the exception of a few individual voices sharing comments on social media (I have not seen them, only heard that they are weighing in). Two of their members sit on the Board of Directors and there are other alumnae on the Board of Directors; however, it does not seem those individuals have listened to the inquiries from alumnae imploring them to oppose the decision and help reverse it. I understand that the Sweet Briar Board of Director’s (and any Board of Director’s) primary role is exercise fiduciary oversight of the institution. I understand that their role is not to be spokespeople for any particular group. Their key role is to protect the assets of the institution. The problem I see at Sweet Briar is that the Board itself is not made up of stakeholders and thus cannot fully weigh the best fiscal path ahead. They seem to only be focusing on assets such as land and endowment and not the most important assets – students, parents, faculty, staff, alumnae and the community. Furthermore, the President (and his administration) and the Board failed to reach out to the stakeholders who were in the best position to improve the fiscal state — the alumnae. Fiduciary Duty…the duty of care, loyalty and obedience. A brief departure. … Fiduciary duty is roughly defined by a duty of care, loyalty and obedience. Taken together, these obligations require trustees to make careful decisions collectively and in the best interest of the institution consistent with its public good and charitable mission. The Sweet Briar Board is entrusted with the charitable assets of the institution — those assets include land and buildings, but also students, faculty, staff, and alumnae. To close Sweet Briar College seems an absolute violation of the care, loyalty and obedience required of a Board member. Under this requirement, a college or university board member must be loyal to the institution and not use the position of authority to obtain, whether directly or indirectly, a benefit for him or herself…. Accordingly, the duty of loyalty considers both the financial interests held by a board member and the governance or leadership positions he has with other organizations (or people, emphasis mine)…. Independence means that the board member is not employed by and does not do material business with the college or university. In addition, it means that the board member acts independently of any personal relationship he or she may have with the president or senior leaders of the college or university or with other trustees. Almost daily, we hear reports about questionable board behavior: boards that overstep their authority and get into institutional management; board members who act as faculty representatives, or captives of the alumni association; boards that are unduly swayed by single donors; boards that look the other way when it comes to trustees with conflicts; boards that fail to meet their formal fiduciary responsibilities. The list goes on. While it may be too late for the current Sweet Briar Board, I have suggested to the Saving Sweet Briar Board that they consider a shared governance model making sure to have stakeholders represented in their decision making. I also joined the call for the current President and Board of Sweet Briar College to resign and, furthermore, to halt the closure of the College. I welcome your feedback and thoughts below. Does the institution you care about have a shared governance model? Do YOU have a voice in any constituency group? Does that group have a mechanism to hear the opinions of its stakeholders? Does the leadership group of your stakeholders – service recipients, students, faculty, staff, alumni – have a seat on the governing board of the institution? Over the past 20+ years since I graduated from Sweet Briar, I never thought that the Board of Directors would give up on the school. It is too hard to accept if they feel it can’t be saved that they won’t let us try. Thank you for the great article, Stacey! We need to Save Sweet Briar. My daughter, who is a junior in high school, really wants to be a part of the Class of 2020. She even came to welcome back students from Spring Break. I do believe everyone could use a little more of this information.